What can you learn from attending the circus? Here's my list. In this second of two posts, I review the Mindly app, a mind mapping tool based on a concentric circle design. Yesterday was the first day in 35 days when I did not meet my daily goal of writing 1,000 words. I spent the day traveling, with little downtime to finish my writing tasks. The only writing I completed was my journal entry. However, as a result of the activities of the day, I had a longer journal entry than usual. In situations like this, I believe, the best thing to do is keep moving forward. I would like these days to be few and far between, but recognize that things pop up from time to time. As a whole, the week was successful because I wrote over 7,000. Additionally, from the perspective of progress, a yellow dot on the chart means at least some words were written. The conditional formatting status indicators in Excel are extremely convenient for creating visual cues to assess progress. 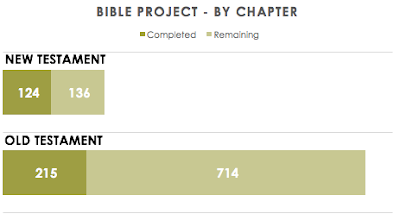 The Bible Project, where my goal is to write the entire Bible by hand, proceeded well. I completed 1 John, 2 John, and 3 John. These are short books requiring only a week to complete all three books. I am currently on Chapter 5 of Judges. Judges is an action packed book with many lessons. The pattern of the book is a pattern of apostasy and worship, repeated for each judge appointed to lead Israel.